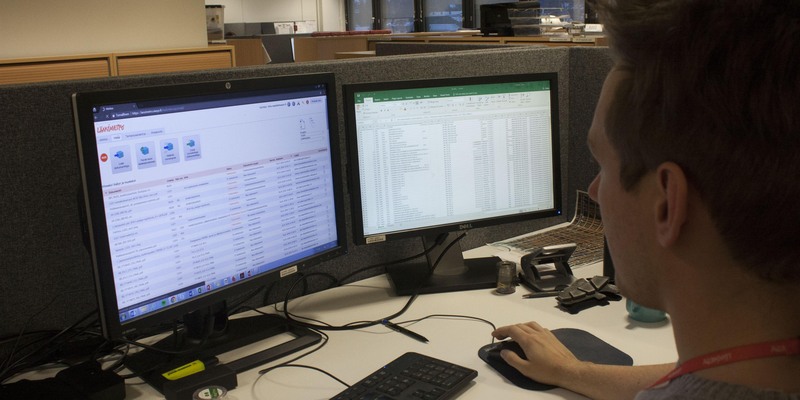 Over 500,000 documents and nearly a thousand users – if placed one after the other as sheets of A4 paper, the West Metro data portal files would reach from Helsinki to Rovaniemi. In the megaproject, data management – or, the management of data management data, as Ulla Valtonen, Life Cycle and Risk Manager at West Metro puts it – is crucial. “Data management can be exciting, easy, challenging or impossible, depending on how it is organised. Many paper archives or separate electronic systems remain in use,” she points out. For the West Metro, Valtonen decided to solve the issue of data management differently. Together with project engineer Timo Mankki, she has developed a data portal for the project that combines all data management throughout the project’s life cycle. Viasys VCD Oy is responsible for the technical implementation of the portal. “Our starting point was that data management must be simple and primarily serve maintenance needs. Data content must be kept up-to-date and reliable, and no information may be lost at any stage of the life cycle. The data covers all aspects of the metro: rail structures, stations, shafts, access tunnels and technical systems,” Valtonen explains. Development of the data portal began in 2010, and the result was a system unlike anything in use elsewhere. “As we began to develop the portal, there was no existing system that included all the data we required, from rock engineering to track engineering and the significant amount of equipment used in technical systems. Another starting point for the development work was that the system could later be adapted to other applications, such as a maintenance manual for an icebreaker,” says Väyrynen. The data portal first saw use in production on 1 September 2017, when the Ruoholahti-Matinkylä section of the metro was completed. The portal will be complete once construction of the second phase of the metro to Kivenlahti is ready. The data portal combines all information related to the West Metro: construction plans and their inspection and approval, monitoring of the conformance of building products and materials and their service and user manuals, monitoring of the progress of contracts and work performance, and verifications of the monitoring of implementation and reception and their inspection documents. Above all, the data portal is designed to assist in the daily upkeep of the metro. “The idea is that it is not the implementation of the project that matters most, but rather its future operation. In comparison, it could be said that while the metro has taken around ten years to plan and construct, the lifespan of both the electronic maintenance manual and the metro itself is still ten times longer,” Valtonen says. From the outset, the data is sorted to suit the needs of maintenance and servicing. It can later be retrieved in the portal with location data and searched based on, for instance, a station, pile, room, floor or even a single piece of equipment. Maintenance data is also collected during use. As the infrastructure’s owner, Länsimetro Oy receives maintenance and service reports on the practical implementation of service tasks from the maintenance manual. The system therefore also helps to ensure passenger safety. “The maintenance manual contains data on matters such as the properties and their technical systems, such as HVAC systems, as well as superstructures such as conductor rails, train tracks and safety equipment,” Valtonen explains. In designing the data portal, user comfort has been taken into account: the portal can be used online with all devices from desktop computers to tablets and smart phones. The right data must be available in the maintenance site without delay, and the acknowledgement of maintenance procedures and addition of new tasks are possible on site. “All procedures must leave an individual name and time stamp. The data must anticipate a situation where the records of performed tasks need to be reviewed,” Valtonen says. The portal and maintenance manual are accessed through a user interface that is customised according to each work role. It connects many different partners to the same information. “The data portal can be accessed by, for example, West Metro planners and contractors as well as local inspection authorities and rescue services. All are able to view their required information from anywhere with Internet access,” Valtonen says.